TEXAS (CNN) - A photo circulating on social media showing an act of kindness is capturing hearts across the country. Firefighter Thomas Harwell saw an elderly woman struggling to get down some stairs Saturday at the Houston Livestock Show and Rodeo. After helping her to her seat Harwell waited until the rodeo ended to make sure she was able to get out of the arena. That's when his wife Shayla captured the photo. "She was having a rough time," Shayla Harwell told CNN Sunday night. "I nudged my husband and told him that they may need help." The photo has been shared more than 2000 times on Facebook. Harwell is a senior captain with the Hardin Volunteer Fire Department which is about 50 miles from Houston. On or off the job -- he said it's in his blood to help people. "I helped her downstairs, and I wasn't going to leave until I helped her upstairs," Harwell said. The family said the elderly woman was 'grinning ear to ear' after the kind gesture. 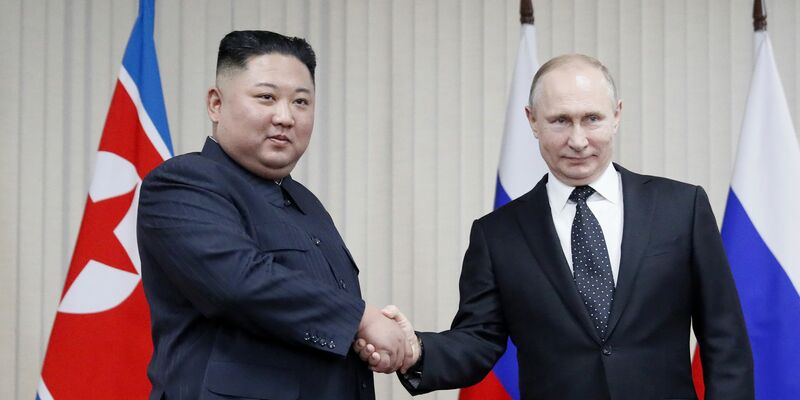 Kim Jong Un's first trip to Russia comes about two months after his second summit with President Donald Trump failed because of disputes over U.S.-led sanctions on North Korea. The Texas school district says the administrator has been placed on leave and faces further consequences for what it calls mishandling disciplinary action.